On September 30 and October 1, 2016, the newly renamed Mead Witter School of Music will welcome the internationally acclaimed Stockholm Chamber Brass to campus for a third annual Brass Fest. The quintet’s tour of upstate New York, Michigan and Wisconsin will be their first-ever appearances in the United States. The Stockholm Chamber Brass. Credit: Beatrice Winter. Brass Fest III will also mark the first time that high school students will play an active role, attending master classes and performing on stage in a final Festival Brass Concert. Area high schools planning to attend include Middleton, Madison East, Madison West, Edgewood, and Memorial. A number of major instrument makers and music companies, many located in Wisconsin, will also be on hand to display their wares. The School will also offer commemorative fund-raising t-shirts; scroll to bottom to learn more. The events will include a concert with Stockholm Chamber Brass on Friday, September, 30, at 8 PM, and a second concert on October 1, also at 8 PM, with the Stockholm Chamber Brass, the Wisconsin Brass Quintet, UW-Madison student performers and selected high school students. Both concerts will be held in Mills Hall in the Humanities Building. Tickets: $20 for Friday’s concert ($5.00 non-music students); $15 for Saturday’s concert ($5.00 non-music students). Buy tickets here or at the door. Stockholm Chamber Brass, formed in 1985, consists of some of Scandinavia’s leading brass musicians. Its five members are all prize winners at major international solo competitions, including the ARD-Wettbewerb, CIEM Geneve, Markneukrichen and Toulon. Their international breakthrough came in 1988 when Stockholm Chamber Brass won 1st Prize at “Ville de Narbonne,” the most prestigious international competition for brass quintets. Stockholm Chamber Brass has performed at Bad Kissingen Sommer, the Schleswig-Holstein Music Festival, Niedesächsische Musiktage, International de Musique Sion Valais, the Prague Spring Music Festival, the Budapest International Music Festival, Festival Internacional de Santander, the Soundstream Festival in Toronto, the Belfast Festival at Queen’s, the Umeå International Chamber Music Festival and the Stockholm New Music Festival. The ensemble has also performed at various brass festivals, including the Lieksa Brass Week, the International Trombone Festival in Helsinki, the Melbourne International Festival of Brass, Epsival Limoge and the Blekinge International Brass Academy. The ensemble’s repertoire consists mostly of original compositions and their own arrangements of older and contemporary music. Their interest in new music has resulted in over thirty compositions written specifically for the ensemble. Stockholm Chamber Brass has worked with a long list of leading composers, including Anders Hillborg, Sven-David Sandström, Pär Mårtensson, Britta Byström, Henrik Strindberg Piers Hellawell and Eino Tamberg. 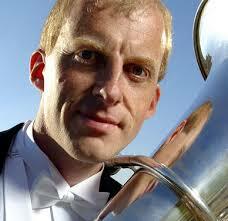 The ensemble has also collaborated with leading brass soloists Håkan Hardenberger and Christian Lindberg. The current members of the Stockholm Chamber Brass are Urban Agnas, trumpet; Tom Poulson, trumpet; Jonas Bylund, trombone; Annamia Larsson, horn; and Sami Al Fakir, tuba. The Wisconsin Brass Quintet, formed in 1972, is one of three faculty chamber ensembles in-residence at the University of Wisconsin-Madison Mead Witter School of Music. Deeply committed to the spirit of the Wisconsin Idea, the group travels widely to offer its concerts and educational services to students and the public in all corners of the state. The Wisconsin Brass Quintet. Photo by Michael R. Anderson. The Wisconsin Brass Quintet includes John Aley, trumpet; Matthew Onstad, trumpet; Mark Hetzler, trombone; Tom Curry, tuba; and Daniel Grabois, horn. New this year: Commemorative Limited Edition T-Shirts, featuring our new Brass Fest III logo on the front and “Mead Witter School of Music” on the back. Prices from $11 to $14; all proceeds will support the School of Music. Send an email to t-shirt sales if you’d like to buy one. From October 9 to 11, the UW-Madison School of Music will present its second brass music festival, following a spirited event last year that was enthusiastically received by students and the community. This year, “Brass Fest II” has added a vocalist to the mix: a Norwegian singer who mixes jazz tunes with pop and folk music from the Middle East, Bulgaria, Spain and India. The three-day festival will also features two brass quintets and a solo trumpeter. Friday, October 9: Axiom Brass Quintet, 8 PM, Mills Hall. This lively Chicago quintet features repertoire ranging from jazz and Latin music to string quartet transcriptions, as well as original compositions for brass quintet. Friday’s concert will offer an Elizabethan suite, “The Art of the Fugue” by J.S. Bach, and brass quintet works by Victor Ewald, David Sampson, and Patrice Caratini. Axiom Brass is an Ensemble-in-Residence at the Boston University Tanglewood Institute and at Chicago’s Rush Hour Concerts. They are winners of the Chamber Music Yellow Springs Competition (2012), the Preis der Europa-Stadt Passau in Germany (2012), the 2008 International Chamber Brass Competition and prize-winners of the 2010 Fischoff Chamber Music Competition, the Plowman Chamber Music Competition, and the Jeju City International Brass Quintet Competition in South Korea. 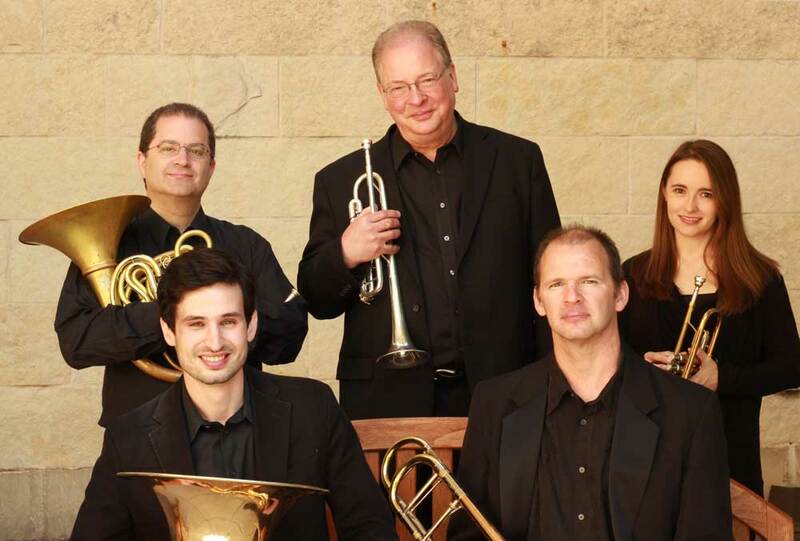 Axiom Brass is comprised of Dorival Puccini, Jr., trumpet; Jacob DiEdwardo, horn; Kevin Harrison, tuba; Serdar Cizmeci, trombone; and Kris Hammond, trumpet. Saturday, October 10: Festival Brass Choir with the Axiom Brass Quintet, the Wisconsin Brass Quintet, trumpeter Adam Rapa, vocalist Elisabeth Vik, and students/faculty of the School of Music. 8 PM, Mills Hall. Conducted by Scott Teeple, professor of music and wind ensemble conductor. The concert will include works by Astor Piazzolla, James M. Stephenson, Anthony DiLorenzo, Nicolai Rimsky-Korsakov, and a Bulgarian vocal work sung by Ms. Vik. The Norwegian-born vocalist Elisabeth Vik was classically trained by Norwegian opera singer Rolf Nykmark, then moved on to study commercial music and music business at the Liverpool Institute for Performing Arts in England. She received a bachelors degree in pop-music performance, then moved to New York City. She has traveled the world gathering and learning techniques and musical expressions, giving her sound and stylings hints of Indian, Arabic, Spanish, Bulgarian as well as Norwegian flavors, superimposed upon a classical technique and an affinity for jazz. American Adam Rapa is a dynamic performer, composer, producer and educator known for the excitement, energy and enthusiasm he brings to stages and classrooms around the world. Rapa has been featured as a special guest artist and clinician at trumpet conferences around the globe including the International Trumpet Guild conference, the National Trumpet Competition, and festivals in dozens of countries around the world. Adam performed and/or recorded with Grammy Award winners Nicholas Payton and Roy Hargrove, Christian McBride, Doc Severinsen, Soulive, Wycliffe Gordon, Eric Reed, Jason Moran, Robert Glasper, Cyrus Chestnut, Jorge Pardo, Mnozil Brass, Belgian Brass, Alice in Chains, Academy Award winning film composer A.R. Rahman, and many others. Now living and freelancing in Copenhagen, Rapa plays lead trumpet in the Danish Radio Big Band and also performs with members of the Afro-Cuban All-Stars. The Wisconsin Brass Quintet, formed in 1972, is a faculty ensemble in residence at the UW-Madison. In addition to performing with the WBQ, the players have also been members of the American Brass Quintet, Empire Brass Quintet and Meridian Arts Ensemble. Current members include Tom Curry, tuba; Mark Hetzler, trombone; Daniel Grabois, horn; John Aley, trumpet; and Matthew Onstad, trumpet. Sunday, October 11: Duo recital with trumpet soloist Adam Rapa, vocalist Elisabeth Vik, and musicians from the School of Music. 7:30 PM, Mills Hall. Based in Denmark, the duo offers a creative blend of classical and jazz, melding traditional and modern repertoire with a Latin sizzle. Works will include the Carmen Suite by George Bizet, Så Skimrande Var Aldrig Havet by Evert Taube, arranged by Rapa & Vik, Oblivion by Astor Piazzolla arranged by Rapa, and Anitras Dance by Edvard Grieg, arranged by Vik & Rapa. Tickets for the Friday and Saturday concerts are $15 for adults, free for students and children. Sunday’s concert is free to all. Buy tickets to both concerts and save! 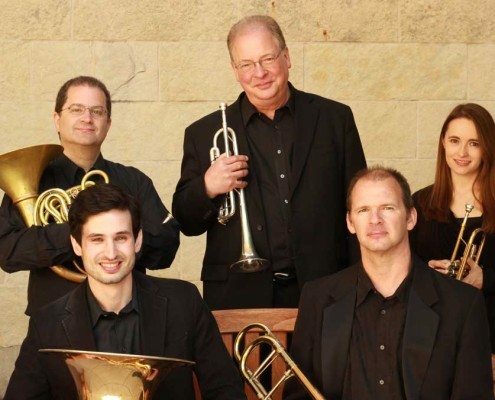 Buy tickets for Friday’s concert with Axiom Brass. Buy tickets for Saturday’s concert with the Festival Brass Choir, trumpeter Adam Rapa, vocalist Elizabeth Vik, and the Wisconsin Brass Quintet. Buy tickets for both concerts. Brass, jazz and three composers–American George Crumb, Cecilia McDowall of the United Kingdom, and France’s Jean-Philippe Rameau — will be showcased this year at the UW-Madison School of Music in the form of five multi-event guest artist festivals, starting in October and continuing through April. Funding is provided by the Vilas Trust and Anonymous Fund at UW-Madison. We thank them for their support. Other notable events will include an eight-concert faculty/student “Showcase Series” series, presenting some of the most dynamic music that the School has to offer. Click here for Showcase info. Some events are ticketed (click here for info). Tickets will go on sale one month ahead of time. All other events at the School of Music, including dozens of faculty recitals, student ensembles and individual guest artists, continue to be free. Brass music is often known for its swagger, but it is also famous for delicate polyphonies and burnished tones. We invite the public to experience the beauty of brass first-hand at a festival featuring both a full array of music and musicians, many at the height of their careers. Performers will include famed Norwegian tubist Øystein Baadsvik, the only musician to have created a career as a tuba soloist, rather than becoming a member of an orchestra or accepting a teaching post. His multi-faceted musical career as a soloist, chamber musician and recording artist has taken him all over the world. Øystein Baadsvik’s international career began in 1991 when he was awarded two prizes at the prestigious Concours International d’Exécution Musicale in Geneva. Baadsvik will be joined by hornist Jessica Valeri (BM, UW-Madison, 1997) of the San Francisco Symphony Orchestra, Michigan’s Western Brass Quintet, UW-Madison’s Wisconsin Brass Quintet, renowned brass composer and blogger Anthony Plog, new UW-Madison faculty tubist Tom Curry, as well the best brass players and conductors at the University, including a Brass Choir led by conductor Scott Teeple. Events will include concerts, solo recitals, masterclasses, brass coachings, a colloquium and a reception. A festival featuring workshops and performances for college and high school jazz performers. This marks the first time that UW-Madison will host the event. This festival will feature Ingrid Jensen, trumpeter, bandleader, artist-in-residence at the University of Michigan and part-time faculty member at the Peabody Conservatory. Ingrid Jensen has been a major figure on the international jazz scene for over 20 years. 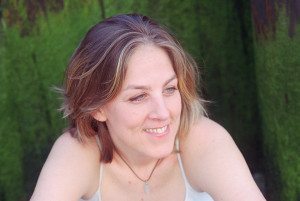 Her three CDs for the ENJA label and her latest CD, “At Sea,” won her nominations from the Canadian Juno Awards, including an award in 1995 for Vernal Fields. In addition to her work as a leader of the quartet Project O and the quintet Nordic Connect, Jensen is a featured soloist with the Maria Schneider Orchestra, with whom she recorded four albums, including the Grammy Award-winning “Concert in the Garden” and “Sky Blue,” the former of which was also named Jazz Album of the Year by the Jazz Journalists Association. Jensen is a member of the Mosaic project with Terri-Lynn Carrington, Esperanza Spaulding and Geri Allen; the Darcy James Argue’s Grammy-nominated Secret Society; the Juno-award winning Christine Jensen Orchestra; has been featured on Gil Evans’ Porgy and Bess at the San Francisco Jazz Festival, under the direction of Maria Schneider; and has appeared as a guest in the festival’s “Tribute to Woody Shaw and Freddie Hubbard”, alongside Terence Blanchard, Eddie Henderson, Bobby Hutcherson and Kenny Garrett. The festival will include master classes in jazz trumpet and improvisation, open rehearsals, a Saturday high school clinic, and performances with UW jazz ensembles and high school big bands from Madison and Middleton. 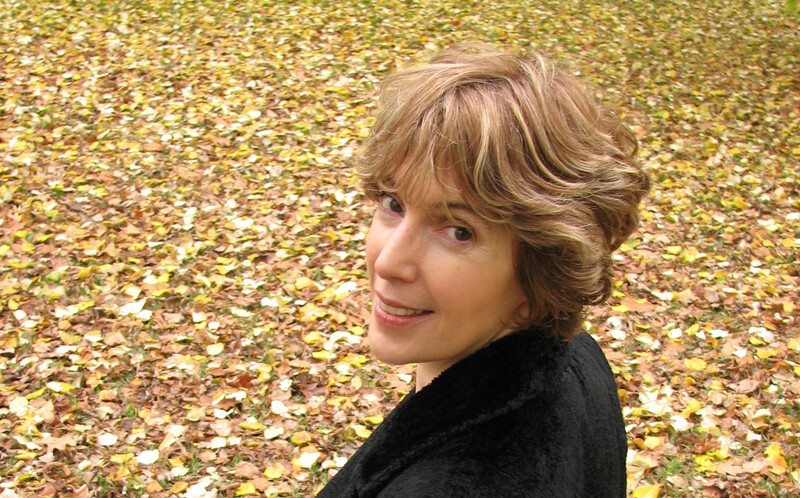 In 2009, after premiering a McDowall work, “Framed,” UW-Madison trumpet professor John Aley discovered for himself what he describes as the “challenging, energizing, poetic, clever, tongue in cheek, and utterly beautiful” music of Cecilia McDowall. 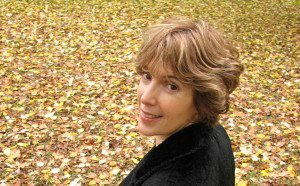 Our festival, organized by Aley, will feature the first-ever United States residency of British composer Cecilia McDowall and the US premiere of her symphonic work “Seventy Degrees Below Zero,” commissioned by the City of London Sinfonia and the Scott Polar Research Institute, based in Cambridge, England. Often inspired by extra-musical influences, McDowall’s writing combines a rhythmic vitality with expressive lyricism. She has won many awards and has been short-listed several times for the British Composer Awards. Her music has been commissioned and performed by leading choirs, including the BBC Singers, ensembles and at major festivals both in Britain and abroad and has been broadcast on BBC Radio and worldwide. Joining us on Saturday will be Michael DuVernois of the UW-Madison IceCube Particle Astrophysics Center, only recently returned from the Antarctic, who will present an entertaining and educational talk, complete with historic and modern photographs, on the progression of Antarctic exploration from the heroic age through modern science on the coldest, highest, driest continent. Other works to be performed during the three-day festival include the first US performances of “Regina Caeli,” for four trumpets and four trombones, and “Cavatina at Midnight,” for clarinet, cello and piano. Her haunting choral works “Ave Regina” and “Ave Maris Stella” will be performed by the UW Chamber Choir, directed by Bruce Gladstone. In addition to Jim Doing, faculty performers will include pianists Christopher Taylor and Martha Fischer, clarinetist Linda Bartley, soprano Elizabeth Hagedorn, oboist Kostas Tiliakos, trombonist Mark Hetzler, trumpeter John Aley, cellist Parry Karp, percussionist Anthony Di Sanza, violist Sally Chisholm, and others. In 2008, the Phoenix Chorale won a Grammy Award for “Best Small Ensemble Performance” for its Chandos CD, “Spotless Rose: Hymns to the Virgin Mary,” which included a work, “Three Latin Motets” by Cecilia McDowall. George Crumb has been a major force in American composition since the 1960s when his Ancient Voices of Children set to texts by Garcia Lorca provided an evocative and deeply personal response to late modernist serialism. The winner of both a Pulitzer Prize and Grammy, Crumb continues to compose new works, most recently his American Songbooks, that celebrate the magic and mystery of life. Crumb’s music often juxtaposes contrasting musical styles and quotes from pre-existing works, and his use of extended instrumental techniques shows his predilection for new sound colors. Many of Crumb’s works include programmatic, symbolic, mystical and theatrical elements, which are often reflected in his beautiful and meticulously notated scores. Crumb’s 85th birthday provides an opportunity to celebrate this composer through concerts, workshops, and master classes featuring guest artists as well as our own faculty and students. The program will include a performance of the “Crumb Madrigals” by Chicago duo Due East and a concert by New York-based violinist Miranda Cuckson, as well as a performance of “The Violinists in My Life,” written by faculty composer Laura Schwendinger. Cuckson is highly acclaimed for her performances of a wide range of repertoire, from early eras to the most current creations. 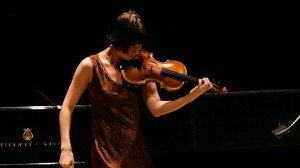 In demand as a soloist and chamber musician, she appears in major concert halls, as well as at universities, galleries and informal spaces. She has performed at such venues as the Berlin Philharmonie, Carnegie Hall, the Library of Congress, Miller Theatre, the 92nd Street Y, Guggenheim Museum, and many more. Nunc (Latin for “now”) was founded in 2007 as “Transit Circle ” by artistic director and violinist/violist Miranda Cuckson, and was renamed and incorporated as a not-for-profit organization in 2012. Nunc is devoted to presenting high-caliber performances of music of current, recent and older eras, through distinctive programming that highlights their innovations and contributions. Read a review of Miranda Cuckson in the New York Times. Multiple events; check back later for more details. 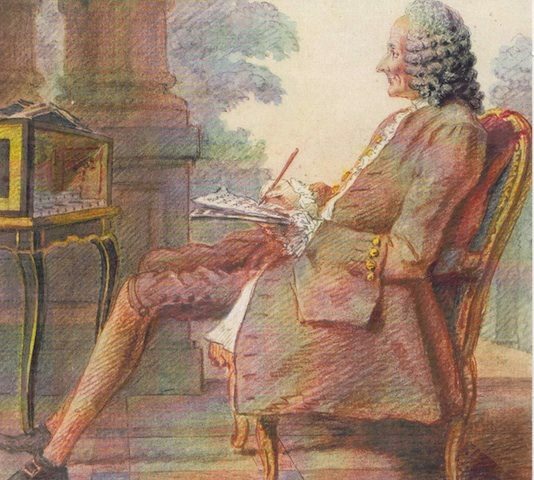 A year-long festival marking the 250th anniversary of the death of French Baroque composer Jean-Philippe Rameau. The UW-Madison and community partners will offer a series of public events beginning this fall and culminating in April with two concert performances of Rameau’s one-act opera, Pygmalion, by the Madison Bach Musicians. Learn more about Rameau here. The UW-Madison School of Music is pleased to announce the appointment of Appleton native Tom Curry as Visiting Assistant Professor of Tuba, replacing Professor of Tuba John Stevens who will retire this spring after 29 years in the position. Curry, a former student of John Stevens’, graduated from UW-Madison in 2009 with a degree in music performance and communication arts and was on the Dean’s List for eight semesters with a 4.00 GPA. He subsequently earned a master’s degree in music performance and literature from Northwestern University, studying with Rex Martin, and is currently pursuing a doctorate in music performance there. He is principal tubist of the Green Bay Symphony Orchestra and the Evanston Symphony Orchestra, and has performed with the Joffrey Ballet, the Chicago Philharmonic, the Ars Viva Symphony, and many other orchestras. Curry maintains a large studio of private low brass students at several Chicago-area high schools and also teaches supplemental tuba and euphonium lessons and master classes at Northwestern. He has served as a low brass instructor at the University of Wisconsin Summer Music Clinic and as a guest tuba and euphonium instructor at Lawrence University. The 2014-15 Wisconsin Brass Quintet. Front row: Tom Curry, tuba; Mark Hetzler, trombone. Back row: Daniel Grabois, horn; John Aley, trumpet; and Jessica Jensen, trumpet. Photo by Megan Aley. In addition to teaching the Low Brass Studio, Curry will play in the Wisconsin Brass Quintet, a position he also held during his final semester at UW while John Stevens was on sabbatical. In Chicago, Curry has regularly appeared with several local and national rock and popular acts, including performances with the Grammy-nominated group Foster the People and the local band, Mucca Pazza.